Butterflies bouncing around the irises in the garden. This beautiful stained glass butterfly suncatcher will brighten any window or room. 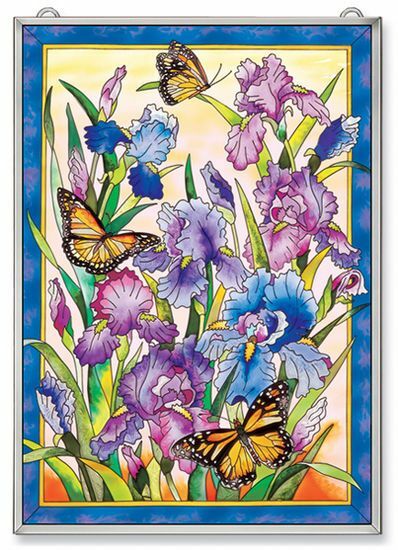 Amia stained glass suncatchers include hand painted ripple glass with removable chain.